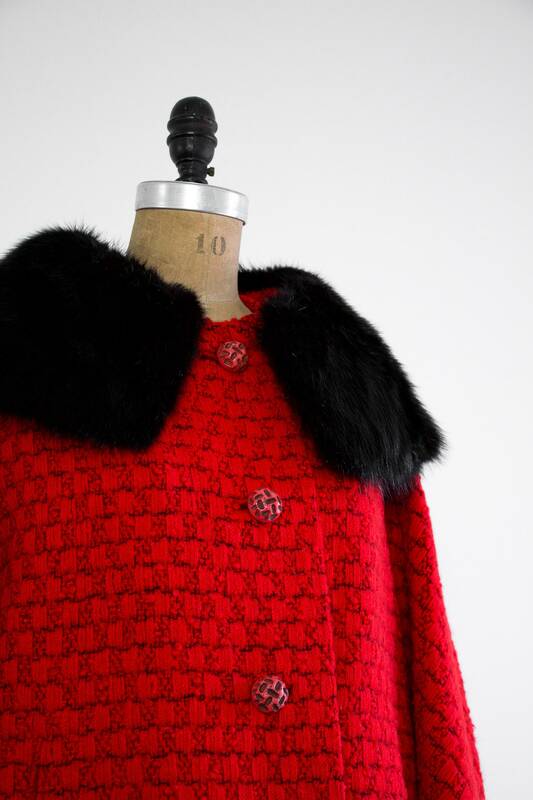 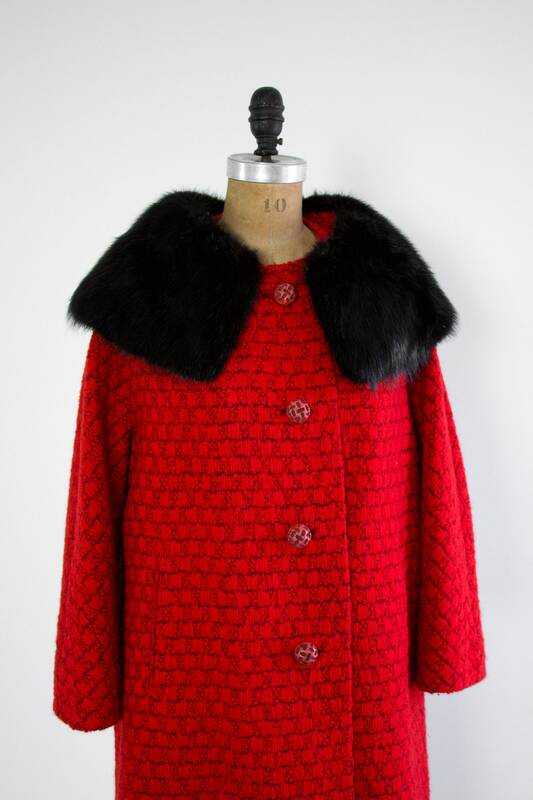 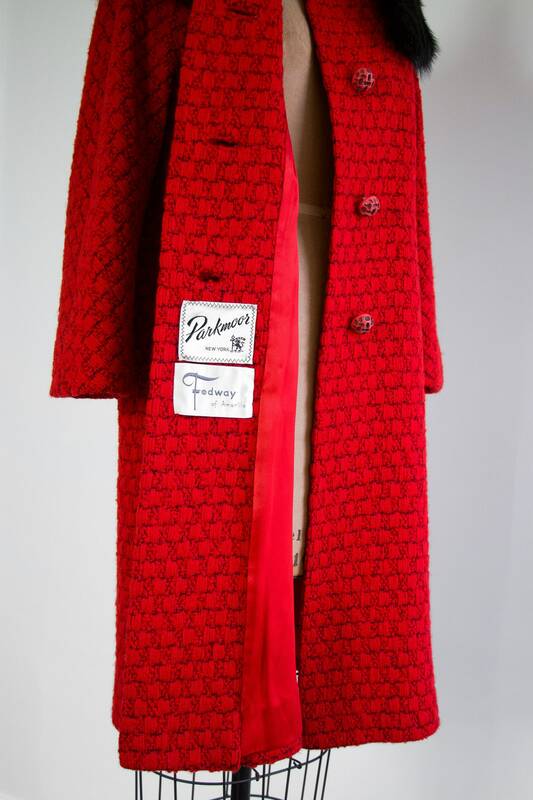 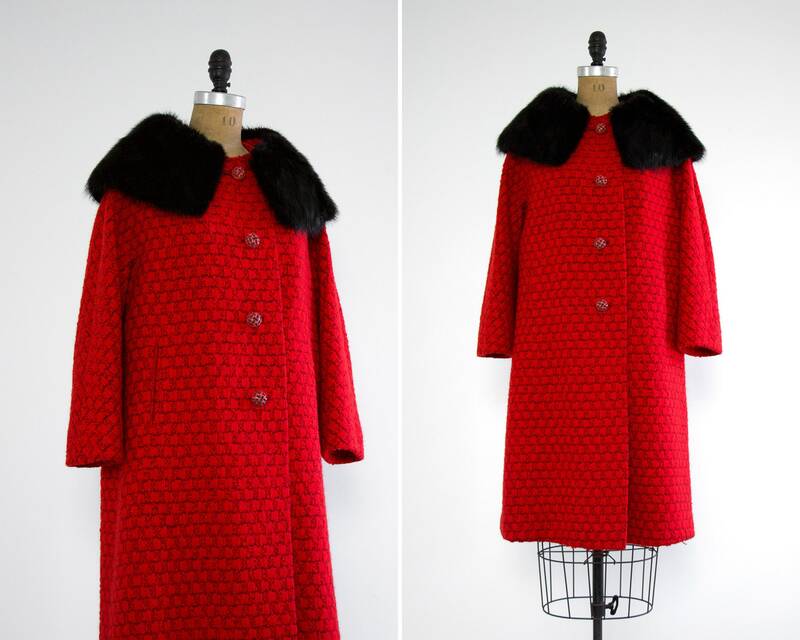 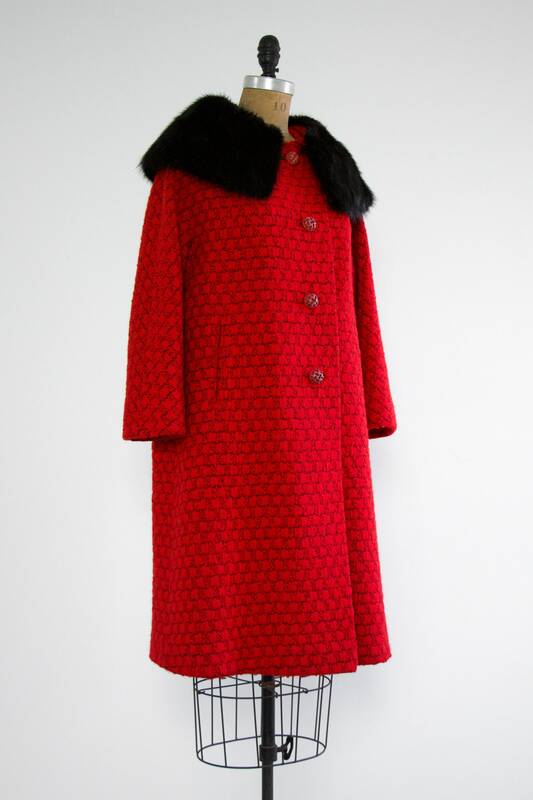 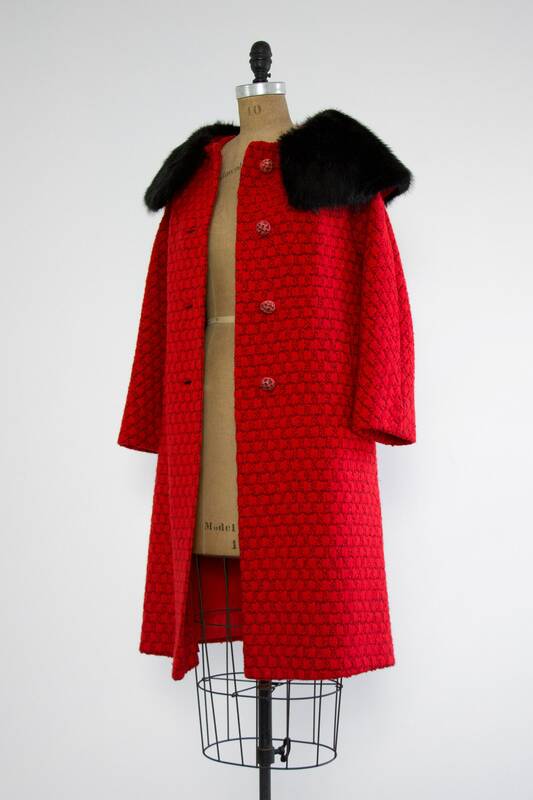 Vintage 1960s mod coat. 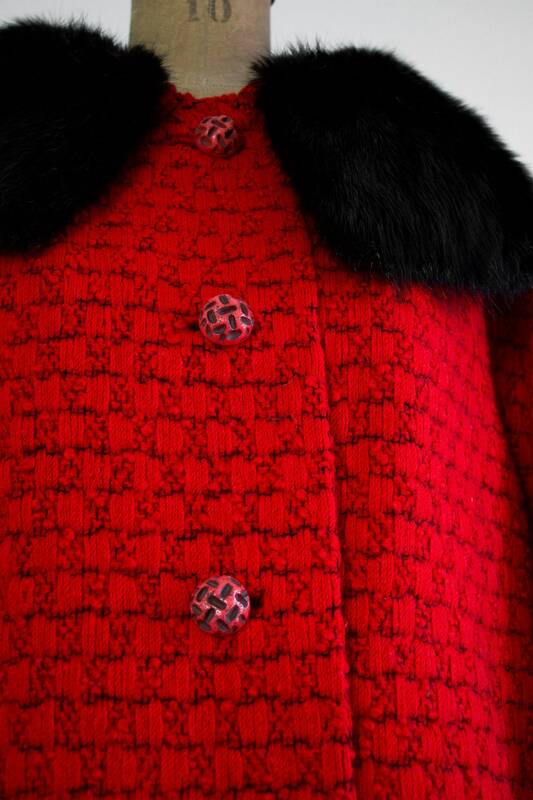 Made from a red wool blend with a textural nubby checkered pattern. 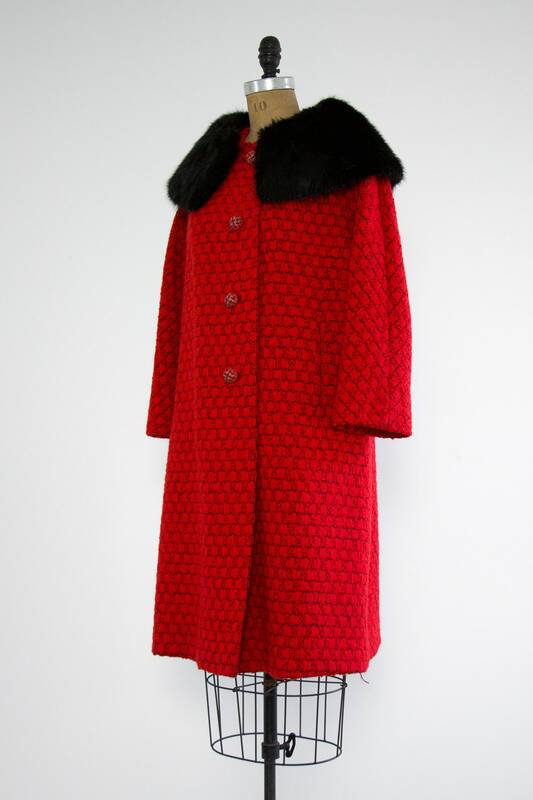 Has oversized buttons down the front, two outer pockets, and a large silky black mink fur collar. 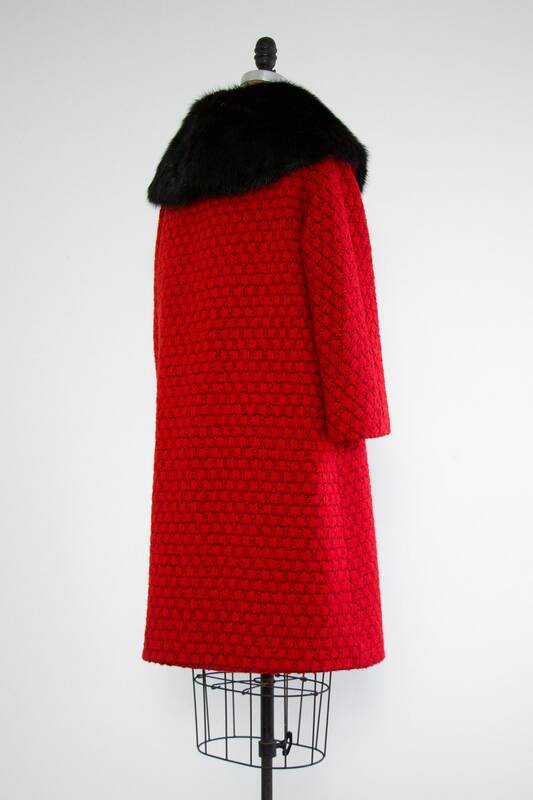 Fully lined in luxuriously thick red satin. 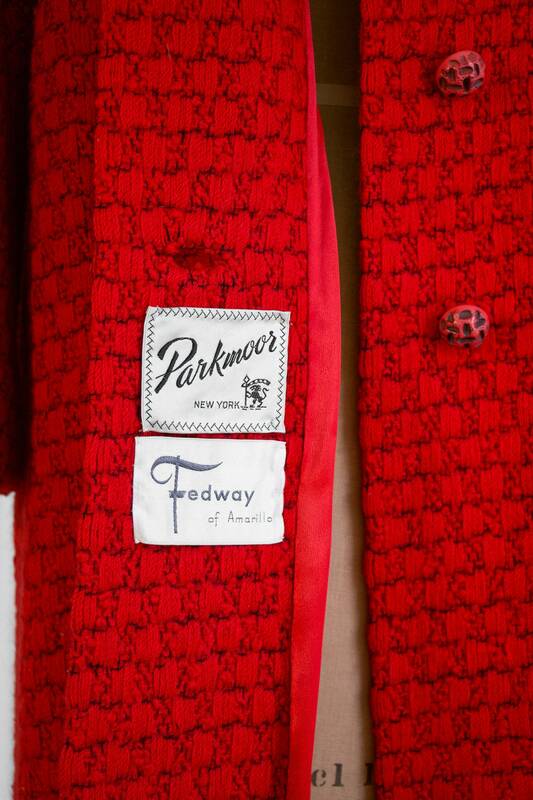 Heavyweight.